The Excellent Global Corporation Plan is initiated. The Fuji-Susono Research Park opens in Susono, Japan. Industrial Resource Technologies, Inc., a toner cartridge-recycling site, is established in Virginia, U.S.A.
Canon Latin America, Inc. moves to Miami, U.S.A.
Canon Virginia ships its 5,000th remanufactured copying machine. 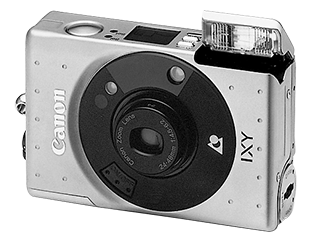 The ELPH (IXUS in other regions), a 2x zoom compact camera with the Advanced Photo System, is introduced. Marketing commences for the FPA-3000EX3 stepper, which uses an excimer laser. Green Procurement standards, promoting the purchase of environmentally friendly components and materials, are issued. Canon (China) Co., Ltd. is established. A new building is opened in the Kosugi Office of Canon Inc. as a base for business solutions and information technology activities. Camera production reaches 100 million units. Canon enters the digital video camcorder market with the OPTURA (MV1 in other regions). Canon forms the Management Reformation Committee. Canon commences Group-wide production reform activities. Copying machine remanufacturing commences in Japan. Canon thus maintains such operations in Europe, the U.S. and Japan. Canon Software Development Center is established in New Delhi, India. Beijing PeCan Information System Co., Ltd. (today, Canon Information Technology (Beijing) Co., Ltd.), a joint venture with Peking University, is established to develop software. Canon Middle East B.V. is established in the U.A.E. The DIGISUPER 25 xs broadcasting lens for high-definition television (HDTV) is introduced. The EOS-3 SLR camera with a 45-point area AF is introduced for professionals and semiprofessionals. Marketing begins for the CXDI-11 X-ray digital camera, with a large-area sensor. The Ayase Office opens with the goal of reinforcing the R&D structure for semiconductor-related devices. Oita Canon Materials Inc. is established. Canon optical technologies are applied in the Subaru, one of the world's largest astronomical telescopes. The BJC-8200 full-color inkjet printer is introduced, featuring a new printing head technology, New "MicroFine Droplet Technology." The compact GT270 eyeglass display is introduced. 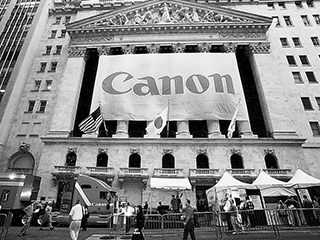 Canon Inc. begins listing its American Depositary Receipts on the New York Stock Exchange (NYSE). 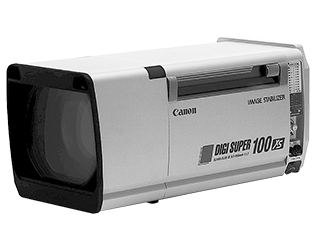 Canon holds Canon EXPO 2000 global technology and product exhibitions in New York, Paris and Tokyo. Canon receives the Miles Supreme Award from the Society of Japanese Value Engineering. The Optics R&D Center opens in Utsunomiya, Japan. Canon receives the prestigious Copier of the Future IEA-DSM Award of Excellence. The PowerShot S100 DIGITAL ELPH (DIGITAL IXUS in other regions), a digital compact camera, is introduced. 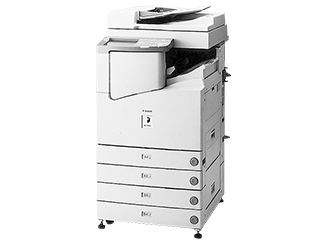 The iR series new-generation network MFD is introduced, providing document collation and distribution functions. The EOS D30 digital SLR camera is introduced, featuring a CMOS sensor. Phase II of the Excellent Global Corporation Plan is initiated. Canon forms the Management Strategy Committee. Canon Europe Ltd. is established in London to cooperate with Canon Europa N.V. in the Netherlands to reinforce regional operations. Canon Vietnam Co., Ltd. is established in Hanoi as a production site for inkjet printers. Three companies in the Canon Group establish a copying machine production site in Suzhou, PRC. Canon Zhongshan Business Machines Co., Ltd., the Group's third laser printer production site in the PRC, is established. Canon develops the Multi-Layered Diffractive Optical Element technology. 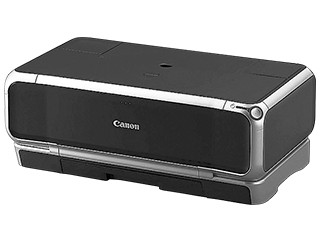 Canon introduces the first "camera direct" products, which allow digital pictures to be printed using an inkjet printer directly from a camera. The imageRUNNER 3300 (iR3300 in other regions), featuring environmentally conscious technologies, is introduced. 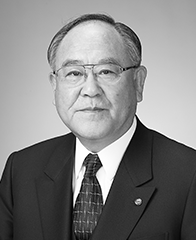 Fujio Mitarai, Canon Inc. president and CEO, is one of the first executives to receive a Business Reformer Commendation from the Japanese government. Canon Inc.'s new headquarters building opens in Shimomaruko, Tokyo. Ueno Canon Materials, Inc. is established. The EOS-1Ds pro-model digital SLR camera, featuring Canon’s 11.1-megapixel full-frame 35 mm CMOS sensor, is introduced. The LBP-2810/2710 color laser printer, featuring the newly developed Four-Color Vertical In-Line Engine, is introduced. The Color imageRUNNER C3200 (iR C3200 in other regions), a color network MFD with a newly developed Color iR Controller, is introduced. Canon Aptex Inc. and Copyer Co., Ltd. merge to form Canon Finetech Inc.
Fukushima Canon Inc. is established as a base for high value-added mass production for the inkjet printer business. Canon (China) Co., Ltd. establishes 15 branch offices. Canon Technical Information Services Inc. is established. Implementation of an eco-friendly product transport modal shift begins. The DIGISUPER 100 xs broadcasting lens, featuring the world's highest zoom lens range is introduced. The i70 (Bubble Jet i70 in other regions), an ultra-compact inkjet notebook printer, is introduced. The W8200, a large format printer using pigmented ink, is introduced. Canon begins shipping the 80-nanometer resolution ArF scanning stepper FPA-6000AS4. 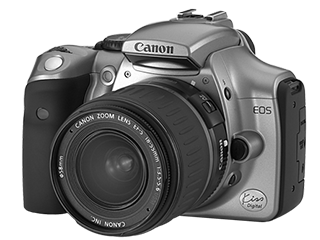 The EOS DIGITAL REBEL (EOS 300D DIGITAL in other regions), a high-resolution compact digital SLR AF camera, is introduced. The PowerShot S400 DIGITAL ELPH (DIGITAL IXUS 400 in other regions), which incorporates the DIGIC imaging processor, is introduced. The Color imageRUNNER C6800 (iR C6800 in other regions), a new color network MFD, which implements RoHS Directive in advance, is introduced. Canon changes the stock trading unit from 1,000 shares to 100 shares. Canon holds its first briefing for individual investors. The Yako Development Center is completed for the concentration of R&D sections of inkjet printers. Canon Precision Inc. merges with Hirosaki Seiki, Inc.
Canon creates Canon Ecology Industry Inc. and Canon Semiconductor Equipment Inc. from Canon N.T.C., Inc.
Canon Ru LLC is established in Moscow, Russia. Igari Mold Co., Ltd. becomes a wholly owned subsidiary through a share exchange. Inkjet printer shipments reach 100 million units. The OPTURA500 (MVX35i in other regions) digital camcorder, which incorporates the DIGIC DV imaging processor that delivers high image quality for still photos and video, is introduced. The PIXMA iP8500 inkjet printer featuring an all new design and the ChromaLife100 system is introduced. The REALiS SX50 (XEED SX50 in other regions), a multi-media projector incorporating the newly developed AISYS optical system, is introduced. Canon holds Canon EXPO 2005, a showcase for Canon’s new products and future technologies, in New York, Paris, and Tokyo. The Compliance Card is distributed to 110,000 Canon Group employees. Construction of the leading-edge technology building at the Canon headquarters in Shimomaruko, is completed. Canon concludes a cooperative research agreement with Tokyo Institute of Technology. Canon and Microsoft Corporation of the U.S. agree to collaborate in the field of image processing technology. The Canon Group obtains combined ISO14001 certification. ANELVA Corporation and NEC Machinery Corporation are made consolidated subsidiaries. Canon receives its second Imperial Award for Innovations for the invention of a large-screen sensor for real-time X-ray imaging systems. The XL H1 high-definition video camcorder is introduced. Canon launches Phase III of the Excellent Global Corporation Plan. 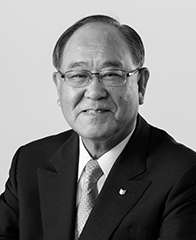 Canon Inc., introducing a new corporate structure, appoints CEO Fujio Mitarai as chairman and Tsuneji Uchida as president and COO. 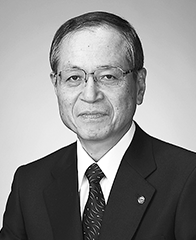 Chairman Fujio Mitarai is appointed the second chairman of Japan Business Federation. Canon Sales Co., Inc. changes its name to Canon Marketing Japan Inc.
Canon Inc. effects a 3-for-2 split of its common shares. Canon opens the Canon Global Management Institute, a training base for the cultivation of global leaders. Canon commences cooperative research and development with Kyoto University on the High-Order Biological Imaging Leading-Edge Technology Hub project. Canon and Utsunomiya University agree to establish an education and research center for optics. Canon ANELVA wins the Japan Vacuum Industry Association Chairman's Award for its HDD head sensor. Canon Optron, Inc. delivers one of the world's largest fluorite lenses for use at a major U.S. astrophysical observatory. The imagePROGRAF iPF9000, which incorporates the newly developed LUCIA twelve-color ink system and supports 60-inch large format prints, is introduced. The PowerShot SD800 IS DIGITAL ELPH (DIGITAL IXUS 850 IS in other regions), incorporating DIGIC III and Face Detection Technology, is introduced. The HV10 HDV camcorder, which incorporates a newly developed CMOS sensor for video and supports the digital Hi-Vision format, is introduced. The PIXMA MP600, equipped with an Easy-Scroll Wheel for intuitive operation of multiple functions, is introduced. The SELPHY ES1 compact photo printer is introduced. 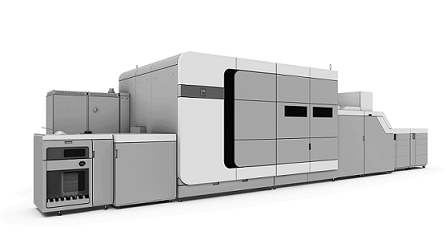 The imagePRESS C1, a digital color production system for commercial printing, is introduced. Canon supports The Japan-China Exchange Year of Culture and Sports 2007. Tokki Corporation (today, Canon Tokki Corporation), which develops, designs, manufactures, and sells OLED panel manufacturing equipment, becomes a Canon consolidated subsidiary. Canon Mold Co., Ltd. is established, integrating Canon’s mold die operations. Canon carries out its first-ever market purchase of its own shares. Canon develops a 50-megapixel CMOS sensor prototype. Canon Launches the Cultural Heritage Inheritance Project (also known as the Tsuzuri Project) with the Kyoto Culture Association. Canon opens Takeshi Mitarai Memorial Hall at Shimomaruko Headquarters. 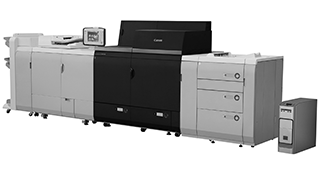 Canon makes a full-scale entry into the commercial digital printer market by introducing the imagePRESS C7000VP. The printer wins the Masuda Award of the 50th Nikkan Kogyo Shimbun Best 10 New Products Awards. The MPAsp-H700 LCD lithography equipment with new platform for 8th-generation substrates is introduced. The EOS-1Ds Mark III digital SLR camera with 35 mm full-frame, 21.1-megapixel CMOS sensor and 5 fps maximum shooting is introduced. The PIXMA Pro9500, a photo inkjet printer for professionals using 10 pigment ink, is introduced. The imagePROGRAF iPF6100, the world's first large format printer with an ambient light adjustment function, is introduced. The HG10 HD camcorder with built-in hard disk is introduced. Hita Canon Materials Inc. is established. Nagasaki Canon Inc. is established. The Canon Institute for Global Studies and the Canon Foundation are established. A Canon ANELVA researcher receives the 6th Prime Minister's Award for contributions in Industry-Academia-Government Collaborations. SLR camera production reaches 50 million units. Digital compact camera production reaches 100 million units. The REALiS SX80 (XEED SX80 in other regions), a multimedia projector equipped with Canon’s proprietary LCOS reflective crystal panel, is introduced. 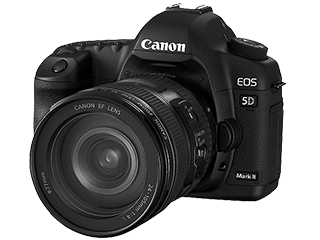 The EOS 5D Mark II, the first camera ever to incorporate full HD video, is introduced. 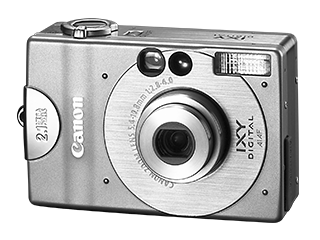 The PowerShot SX1 IS, Canon’s first digital compact camera equipped with its proprietary CMOS sensor, is introduced. All headquarters functions of Canon Europe are consolidated in London. Canon and HP enter a new alliance agreement in the solutions area. Canon Athlete Club Kyushu is established. Poppins Nursery TAMAGAWA, a day care center authorized by the Tokyo Metropolitan Government, opens on the grounds of Canon’s Shimomaruko Headquarters. Affiliate Canon Wind Inc. is officially recognized for meeting legal standards in promoting the employment of people with disabilities. Canon Virginia opens a new plant for toner cartridge production. EF lens production reaches 50 million units. CXDI digital radiography system production reaches 10,000 units. The imageRUNNER ADVANCE series of next-generation office network MFPs with enhanced IT environment integration is introduced. The VIXIA HF20 (LEGRIA HF20 in other regions) high-definition digital camcorder with DIGIC DV III is introduced. The EOS 7D digital SLR camera with up to 8 fps continuous shooting and ISO 12800 is introduced. The PIXMA MP640 (MP648 in other regions) inkjet MFP with A4 printing at approx. 8.1 ipm is introduced. The PowerShot S90 digital compact camera with large-diameter f/2.0 and 28 mm wide-angle lens is introduced. EF 100 mm f/2.8L Macro IS USM lens with new Hybrid IS that compensates for both angular and shift camera shake is introduced. The CX-1 hybrid retinal camera that combines both mydriatic and non-mydriatic modes is introduced. To present the vision and future directions of the Canon Group, Canon holds Canon EXPO 2010, a showcase for new products and future technologies, in New York, Paris and Tokyo. Océ N.V. of the Netherlands becomes a Canon consolidated subsidiary. Canon provides support for the Japan Pavilion at Shanghai World Expo 2010. Canon develops world's first APS-H-size CMOS sensor with record-high 120-megapixel resolution. Canon develops the world's largest ultrasensitive CMOS sensor at 202 x 205 mm. Canon and Fujitsu agree to collaborate on managed services. The PowerShot SD4500 IS DIGITAL ELPH (IXUS 1000 HS), the world's slimmest digital compact camera with 10x optical zoom and Full HD video, is introduced. The XF305, a professional video camcorder with a 3-CMOS-sensor system,18x optical zoom, and file based recording codec, is introduced. The PIXMA MG8100/MG6100 series, inkjet MFPs featuring revised body designs and the Intelligent Touch System light-guided button-navigation system, is introduced. The compact-body imageRUNNER ADVANCE C2000 series is introduced. The CXDI-70C Wireless, a non-tethered digital X-ray detector, is introduced. Canon launches Phase IV of the Excellent Global Corporation Plan. Canon holds Canon EXPO 2011 in Shanghai. Canon and MEDIAN Technologies, a France-based IT solution vendor, enter into an agreement in the medical domain. Canon donates portable digital radiography systems to support victims of the Great East Japan Earthquake. Construction of the Kyoto University Advanced Medical Device Development and Clinical Research Center completed. Canon Prachinburi (Thailand) Ltd. is established. Canon Business Machines (Philippines), Inc. is established. Canon enters the motion picture production industry with the launch of the Cinema EOS System of cinema cameras and lenses. The PowerShot SX230 HS, a 14x optical zoom digital compact camera with GPS, is introduced. Canon launches cloud-based document services through the Canon Business Imaging Online cloud services platform. A digital production printing system utilizing an Océ printer controller is developed, marking the first Canon-Océ jointly developed product. Canon enters the commercial photo printer market with the introduction of the DreamLabo 5000. 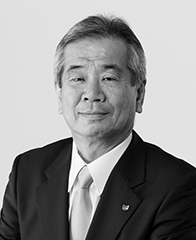 Fujio Mitarai is appointed president, in addition to chairman and CEO, of Canon Inc.
Canon Indústria de Manaus Ltda. is established in Brazil. Canon Marketing Vietnam Co., Ltd. is established. Canon technology contributes to an expanded field of view in the Subaru Telescope of the National Astronomical Observatory of Japan in Hawaii. Canon receives a Technology & Engineering Emmy® Award for improvements to large format CMOS imagers for use in High Definition broadcast video cameras at the 64th Annual Technology & Engineering Emmy® Awards. Canon enters into collaborative research agreements with Massachusetts General Hospital and Brigham and Women's Hospital. Canon achieves the leading global share in interchangeable lens digital cameras for the 10th year straight. MREAL, a new MR (mixed reality) system that contributes to reduced development times during product design, is introduced. 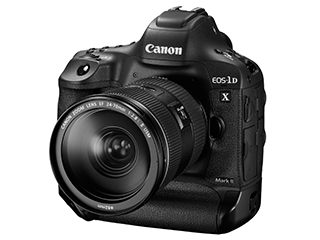 The top-of-the-line EOS-1D X digital SLR camera, offering the highest levels of image quality and speed performance, is introduced. The PIXMA PRO-1 professional inkjet printer, featuring the newly developed LUCIA 12-color ink system, is introduced. The EOS M, a compact-system camera that offers digital SLR camera-level image quality in a compact and lightweight body, is introduced. 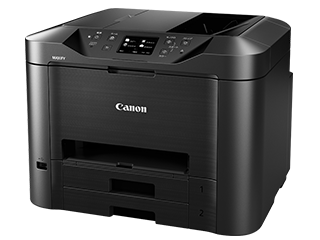 Canon acquires CFP (Carbon Footprint of Products) certification for nine multifunction printer models, a first in the product category. Canon enters the OCT ophthalmic equipment market with the introduction of the OCT-HS100, the first Canon-branded optical coherence tomography device. Chairman Fujio Mitarai receives the Grand Cordon of the Order of the Rising Sun from the Emperor of Japan. Canon Americas completes new headquarters in Melville, N.Y.
Canon Solutions America, Inc. is established. Canon Vietnam Co., Ltd. achieves production of 100 million inkjet printers. 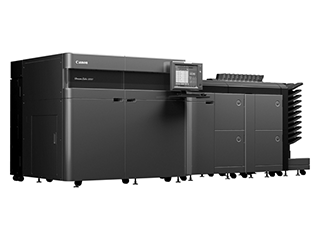 Canon (Suzhou) Inc. achieves production of 100 million imageRUNNER ADVANCE series office network MFPs. Canon develops 35 mm full-size CMOS sensor with high sensitivity and reduced noise, enabling video shooting in low light. Eight models from the imageRUNNER ADVANCE series receive EPEAT Gold ratings in New Digital Imaging Equipment Category. Canon Virginia Inc. becomes the first manufacturer to acquire Responsible Recycling Practices for Electronics Recyclers (R2) certification in the U.S.
An ultra-high-sensitivity 4K-model Cinema EOS System camera successfully captures the world's first video of the comet ISON shot from the International Space Station. 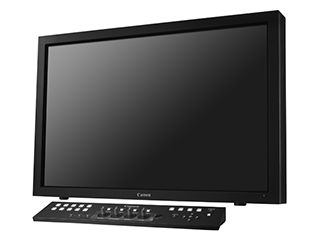 Canon enters the 4K video production display market with the launch of the DP-V3010 30-inch 4K display for professional use. Canon launches the EOS 70D digital SLR camera, featuring innovative Dual Pixel CMOS AF technology to satisfy the needs of users seeking to extend their photographic horizons. Canon launches the PowerShot N digital compact camera, which opens up a new dimension of photographic expression by generating six unique images with each shot. Canon launches the VIXIA mini (LEGRIA mini) digital video camcorder, which offers new shooting styles and new ways to enjoy movies. 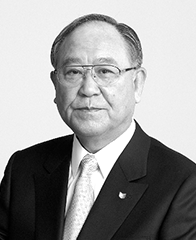 Fujio Mitarai is appointed Honorary President of the Tokyo 2020 Organising Committee of the Olympic and Paralympic Games. Canon makes U.S.-based Molecular Imprints, Inc. a wholly owned subsidiary under the new company name Canon Nanotechnologies, Inc., to engage in development of next-generation semiconductor lithography equipment. Canon Europe acquires Milestone Systems. Canon signs global partnership with Volkswagen for managed print services. Digital camera production reaches 250 million units. 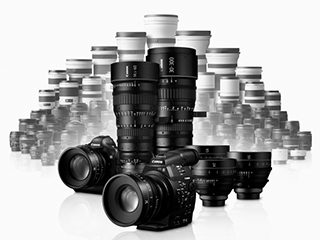 EF lens production reaches 100 million units. Canon contributes to production of the primary mirror used in TMT (Thirty Meter Telescope) extremely large telescope at the National Astronomical Observatory of Japan, Hawaii Observatory. Canon enters the industrial camera market with the launch of the M15P-CL camera for inspection devices, equipped with a low-noise, high-pixel-count CMOS sensor. Canon enters the machine vision market with the launch of the RV1100 3-D Machine Vision System, which makes possible high-speed, high-precision 3-D recognition. Canon launches MAXIFY series of business inkjet printers. Canon launches EOS 7D Mark II with high-speed continuous shooting performance and new AF system. Canon launches imagePRESS C800/C700 color multifunction printer for the light production market. Canon EXPO 2015, a showcase for Canon’s new products and future technologies, is held in New York, Paris and Tokyo. Canon makes Sweden-based Axis AB a consolidated subsidiary to strengthen Canon’s network camera business. Canon BioMedical, Inc. is established by Canon U.S.A.
Canon’s Toner Cartridge Recycling Program reaches its 25th year. Canon launches EOS 5DS/EOS 5DS R high-resolution digital SLR camera with 50.6-megapixel CMOS sensor. Canon offers a new imaging experience for photos and movies with the launch of Connect Station CS100. Ultra wide-angle zoom lens EF11-24mm f/4L USM with 11mm focal length is launched. Canon launches the ME20F-SH ultra high-sensitivity multipurpose camera, which enables shooting of full-color movies in extreme low light conditions. The imagePRESS C10000VP production printer offering print speed of 100 pages per minute is launched. Canon launches Phase V of the Excellent Global Corporation Plan. Canon Inc., introducing a new corporate structure, appoints CEO Fujio Mitarai as chairman and Masaya Maeda as president and COO. Canon makes Toshiba Medical Systems a wholly owned subsidiary to expand Canon’s healthcare business. 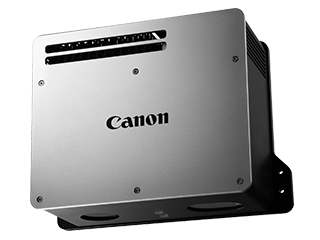 Canon launches the 4K500ST 4K projector, then the world’s smallest and lightest among 5,000 lm class projectors. 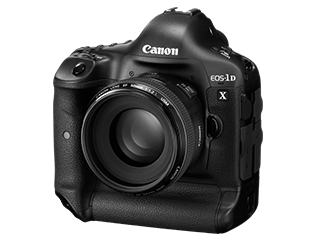 Canon’s digital SLR camera flagship model EOS-1D X Mark II is launched. Canon launches the imagePROGRAF PRO-1000, featuring improved core inkjet technology, high image quality printing and A2 printing capability. The AXIS Q1659 interchangeable-lens network camera, which integrates Canon imaging technology and AXIS network technology for high-resolution monitoring, is introduced. Canon makes Miyazaki Daishin Canon Inc. (now Miyazaki Canon) a wholly owned subsidiary. 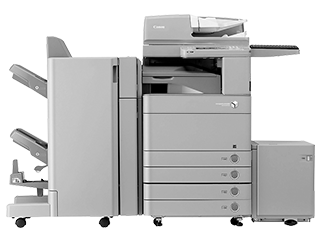 The A3 color MFP imageRUNNER ADVANCE C3500 series, equipped with features realizing superior operability and productivity, is launched. The CXDI-710C Wireless, the industry’s lightest1 wireless 35 x 43 cm digital radiography system, is launched. 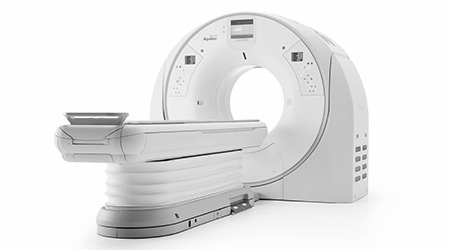 Toshiba Medical Systems (now Canon Medical Systems) launches the high-definition CT diagnostic system Aquilion Precision. The Océ VarioPrint i300 commercial-use cut sheet printer, capable of A4 double-sided printing of 300 pages per minute (150 sheets/min. ), is launched. Canon Electronics succeeds in launching the CE-SAT-I micro satellite. Canon delivers the nanoimprint lithography manufacturing equipment FPA-1200NZ2C to Toshiba Memory Corporation’s Yokkaichi Operations plant. 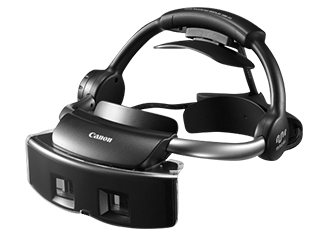 Canon develops the Free Viewpoint Video System. The Océ Colorado 1640 UVgel wide format printer is introduced. Toshiba Medical Systems changes its name to Canon Medical Systems. The Canon Eco Technology Park opens to serve as a focal point of the environmental activities of the Canon Group. The EOS M50 mirrorless camera is introduced.